Trademark squatting can be just as big a challenge for owners of well-known marks trying to enter the Turkish market as counterfeiting, online infringement and other market issues. While owning an internationally well-known trademark requires a big budget to cover expenses for advertising, promotion and the provision of goods and services on a global basis, such marks enjoy the significant advantages of generally being customers’ first choice, having a steady and dominant market share and easily adapting to different sectors. Unfortunately, these very qualities also make them tempting targets. This is why well-known marks need broader protection which extends to more goods and services than just those covered. Registering a trademark is the best way to benefit from this protection, given that it is much easier to claim a right by asserting a registration than to prove unregistered prior rights. However, sometimes this can be the problem itself, if the registrant is not the genuine owner of the mark. In Turkey, the bad-faith registration of well-known trademarks by third parties is a common problem. Every year hundreds of well-known trademarks are subject to bad-faith applications before the Turkish Patent Institute. Further, if the third party manages to register its application, this means that the well-known mark is being used by the bad-faith registrant within the scope of legal protection. Thanks to trademark monitoring, owners of well-known trademarks generally become aware of bad-faith applications during the publication phase and can file an opposition before the institute on the basis of their own prior genuine rights and the applicant’s bad faith. Bad-faith trademark applications will generally be rejected by the institute if an opposition is filed by the genuine rights holder. Yet despite this smooth opposition system, bad-faith third-party applications can still harm well-known marks and their owners. The most detrimental effects occur where the well-known mark is not registered in Turkey and the genuine owner is trying to enter the Turkish market, as it must overturn the bad-faith third-party registration before it can start to market its goods or services under its mark. The following two cases offer striking examples of this challenging situation. In 2009 Kuvera SpA – a famous Italian brand for handbags, wallets, accessories and travel bags – decided to expand its business operations to the Turkish market under its trademark CARPISA, which is formed of the suffix ‘car’ and ‘pisa’ – the first letters of the company owner’s surname, namely ‘Carlino’ and ‘Pisani’ – and the turtle logo. However, before proceeding Kuvera discovered that its well-known mark had already been registered in Classes 18, 25 and 26 in the name of a local trader engaged in the manufacture and retail sale of handbags and purses. the obvious bad faith of the other party in choosing a trademark that was identical to the unique CARPISA and turtle logo marks, and actively using, producing and selling goods under this mark. Copies of various promotional materials designed and used by the defendant, as well as branded counterfeits purchased from him, together with receipts, were submitted as evidence of the defendant’s active use of the trademark. The registration certificates of the CARPISA trademarks, charts and reports about Kuvera’s sale rates for products bearing such marks, invoices issued for such sales and copies of articles published on magazines or newspapers about Kuvera’s products were also submitted to support Kuvera’s claim of genuine ownership. In response to this invalidation action, the plaintiff alleged that it had designed and used the CARPISA mark in the Turkish market for a long time, giving it prior and acquired rights. Thus, it was not acting in bad faith by registering and using the cited mark. For these reasons, the defendant claimed that the court action should be rejected. Kuvera was the genuine owner of the CARPISA marks, since it had created these unique marks, comprising a turtle figure and the term ‘carpisa’, which was formed of the first letters of the owner’s surnames. Further, Kuvera had used the mark actively in over 30 countries since 1990. The counterparty had obviously acted in bad faith in applying to register the CARPISA mark for the goods and services covered by the plaintiff’s trademarks, since the stylisation of a trademark comprising a turtle and a meaningless term ‘carpisa’ could not be a coincidence when an internationally well-known trademark with the same features had been registered for the same goods and services. With regard to genuine ownership, it was stated in the court’s decision that “a right on a trademark is raised with its creation” and “the first user of a trademark is the genuine owner of it”, which suggests that the Turkish civil IP courts will consider the creation and use of trademarks when determining genuine ownership, irrespective of where the mark was created or used. The defendant appealed, but the appeal court found the invalidation grounds accurate and approved the invalidation of the registration for CARPISA on February 14 2012. Since that date, the plaintiff has entered the Turkish market and become extremely successful. Oliver Peoples Inc – part of the Luxottica Group, a world leader in the design, production and distribution of premium eyewear – faced two obstacles before entering the Turkish market: registrations for its own trademark OLIVER PEOPLES. One was filed by a natural person for goods in Class 9 – the core class for the company’s goods – while the other was filed for goods in Class 14 by a rival company doing business in a related sector. the bad faith of the defendants, as it was unlikely that they would have created such a unique trademark and intended to use or register it for sunglasses or a similar product group (ie, jewellery and accessories) without being aware of the company. Oliver Peoples supported its claims with registration certificates for the OLIVER PEOPLES mark, charts and reports about its sales of products bearing this mark, copies of the invoices issued for these sales and copies of articles published in magazines and newspapers about the related trademark. However, since there was no concrete indication of bad faith on the part of the counterparties, only precedential court decisions issued in similar cases and some related academic articles were submitted to support the arguments regarding the counterparties’ bad faith. In response, the defendants alleged that they had not registered the marks in bad faith and asserted that the OLIVER PEOPLES mark was not well known in Turkey and they were thus unaware of its existence when they applied to register it. The Istanbul Second and Fourth Civil IP Courts rejected the defendants’ allegations and the opposed registrations were invalidated on the grounds that the genuine owner of the OLIVER PEOPLES mark was the plaintiff, since it had created this unique mark and had been using it actively on a worldwide basis before the registration dates of the opposed trademarks. Thus, it was an internationally well-known trademark for goods and services in Classes 9 and 35 and was being actively used at the time that the registrations were filed. In addition, the defendants were probably aware of the OLIVER PEOPLES mark, which was well known for sunglasses, when they applied to register their marks for the same goods. The court concluded that the same was true for the goods in Class 14: the goods in this class are of a similar type to sunglasses and, as an active merchant, the defendants should have known of the OLIVER PEOPLES mark, which was well known in this sector. Specifically, the court decided that both defendants had acted in bad faith, although there was no concrete evidence to support this. This suggests that the courts can choose to be lenient when it comes to demanding concrete evidence of bad faith in the case of well-known marks, even if the trademark is not registered or in use. The invalidation of the registrations for the OLIVER PEOPLES marks were finalised on February 12 2015 and July 21 2015. Only after these dates was the plaintiff free to enter the Turkish market. Turkish IP law and practice on the protection of well-known trademarks on a global basis is consistent, considering that courts arrived at the same outcome in similar cases in 2009 and 2013. To conclude, Turkish IP law and practice grant protection to well-known trademarks which have been targeted by third parties in bad faith, on the basis of this bad faith and the genuine rights of the rights holders, even if the trademark in question has not previously been used in Turkey and there is a senior registration or application in Turkey. 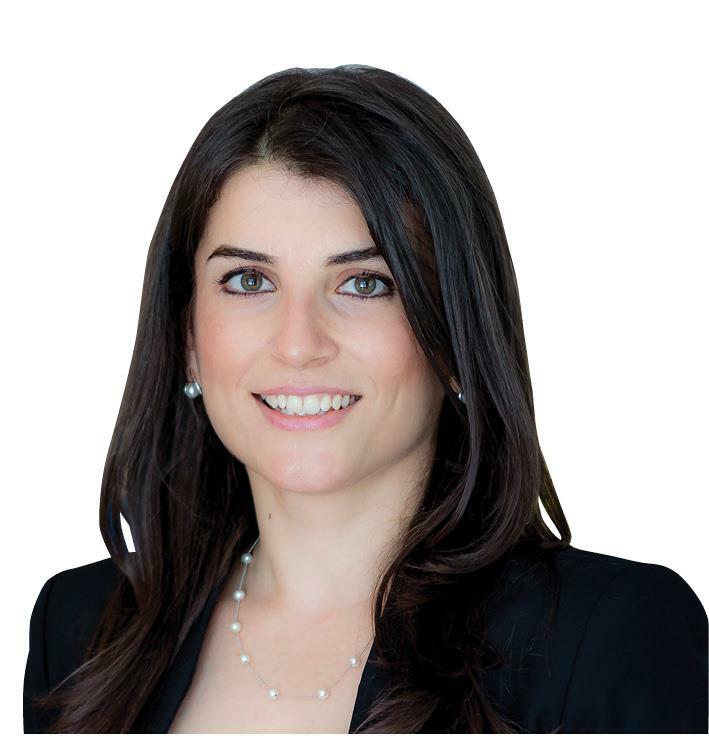 Yasemin Kenaroglu, founder of Kenaroglu Intellectual Property, has more than 12 years’ experience in trademark enforcement, litigation and prosecution. She is a registered attorney at law (Istanbul Bar Association, 2003) and trademark attorney (Turkish Patent Institute, 2005). Ms Kenaroglu is an active member of the International Trademark Association’s Anti-counterfeiting Committee and has been recommended by the WTR 1,000 and IP Stars as a leading IP practitioner.